There aren’t many options available for men when it comes to accessorizing. A watch doesn’t just tell you the time, it is one of the most important accessories the a man can sport. A chronograph watch, especially, is what’s hot right now. The right watch adds a lot of oomph to your look whereas the wrong one diminishes your appeal to a zero no matter how well you’re dressed. Here’s a list of the 10 best budget-friendly chronograph watches under 3000 Rupees to enhance your style game. 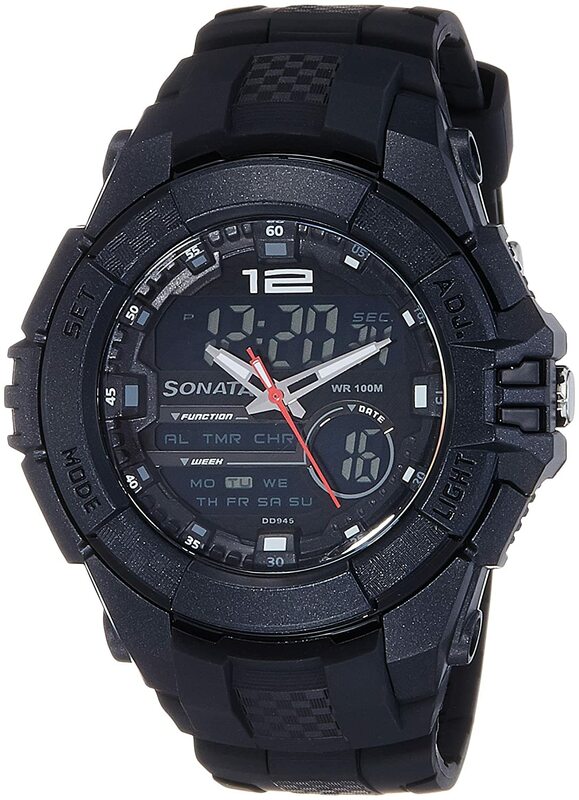 The first one on our list of the best chronograph watches under 3000 Rupees is this black coloured analog & digital watch for men from the house of Sonata. It is a perfect blend of style and utility. The unique design of the stainless steel dial and resin strap makes it highly durable. With water resistance up to 50 m, you can wear this one to pool or beach parties. 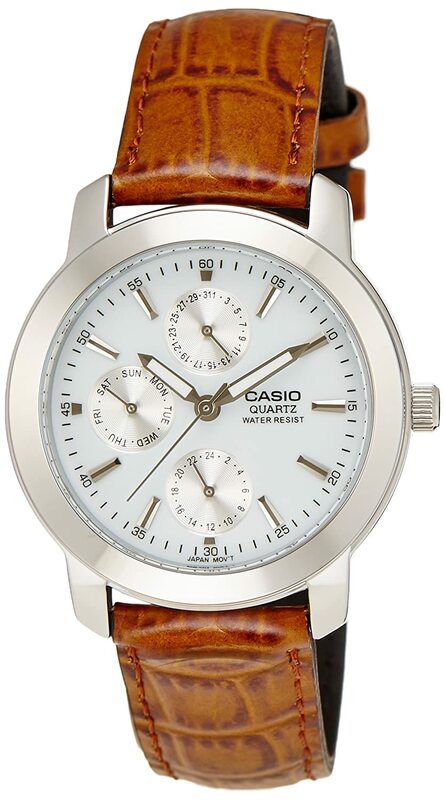 This chronograph watch from Casio is the only one on this list that has a white dial. The pattern on the brown leather strap of this watch might not be every one’s cup of tea. But those who are able to carry it are gonna rock it. Next on our list of the best chronograph watches under 3000 Rupees is this sturdy watch from fastrack. It has a metal case construction for an increased 10ATM/100m water resistance. The high durability silicone strap has a rugged look but a comfortable feel. It has got a stainless steel back cover and is shock resistant. 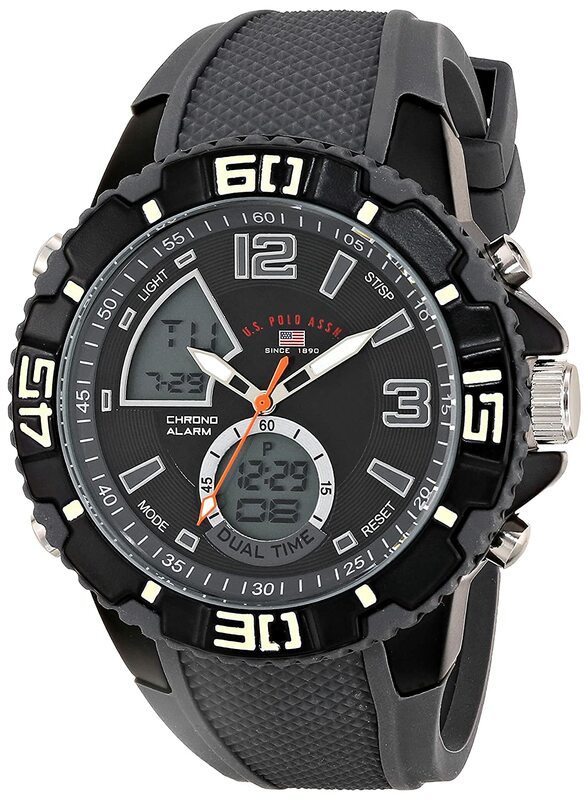 It is definitely one of the best chronograph watches under Rupees available in India. This one is a classic sports watch from the US Polo Association. The band is made of silicone and has a textured center. 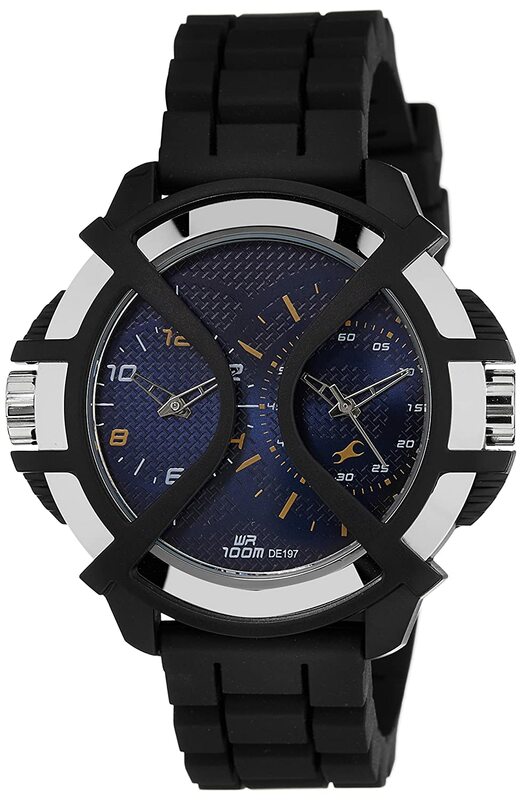 It has a multi-function round dial with analog & digital displays and features the company’s famous flag logo. The silver-tone of the crown & pushers goes well with the black body. This watch is not water resistant, but that isn’t too maddening when you consider the brand and the price point. 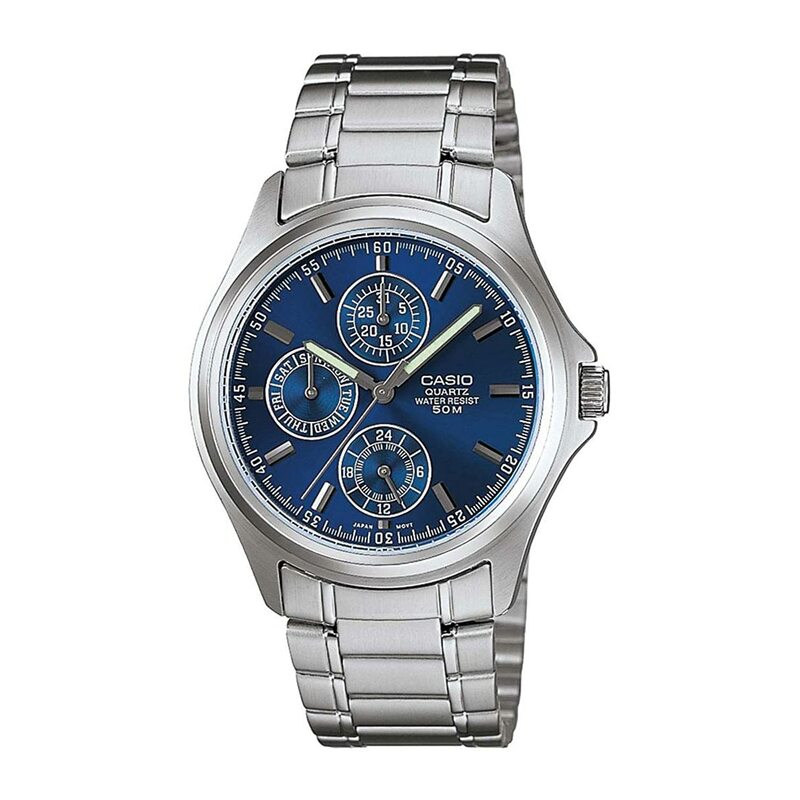 Other than the elegant combination of blue & silver, whats striking about this chronograph watch from Casio, is that it has got two separate little dials for the day and date and also that you can buy it for less than 3000 Rupees. The band is made of stainless steel but doesn’t feel too heavy. The water resistant depth of this one is 50 meters. Next on our list of the best chronograph watches under 3000 Rupees is Blue, Bronze & Black, with a tinge of white & silver. 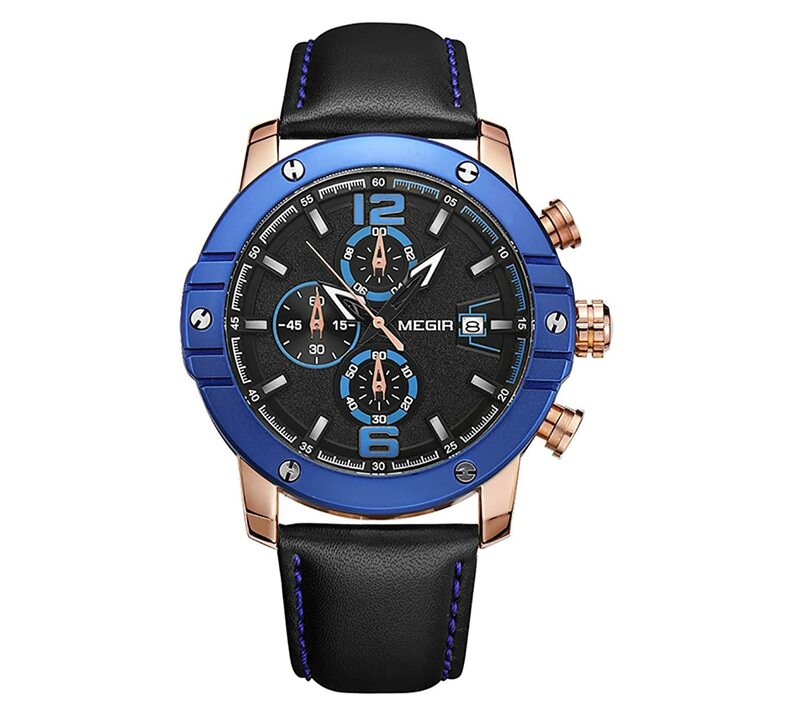 The colour combination on this watch from Megir is bound to catch everyone’s eyes. Even the black leather strap has got a little blue detailing. Its got all your normal functions: date & time, chronograph, etc. plus luminous hands. It is water resistant to 99 feet (30 M), withstands rain and splashes of water, but not showering or submersion. 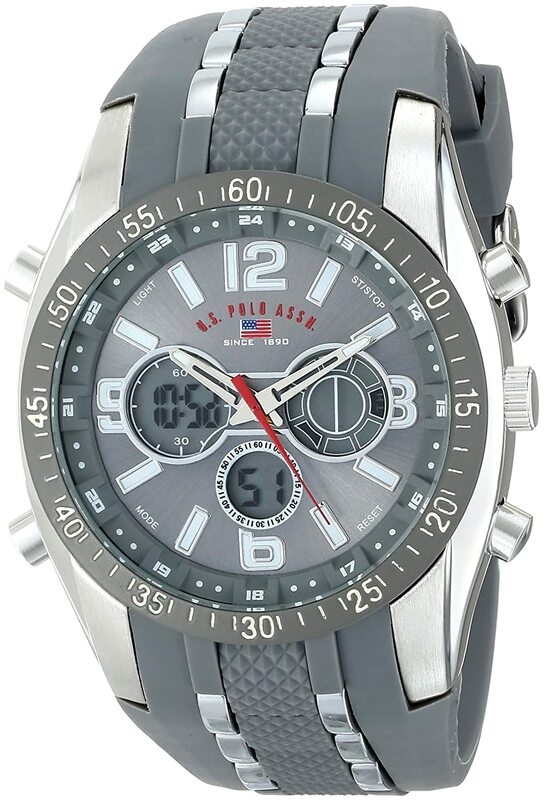 Another sports chronograph watch from US Polo, this one comes with a round enclosed dial featuring alarm, backlight, 12/24-hour formatting, and day/date functions. There is a 44 millimeter metal case over the glass dial window for that extra bit of protection. But even so, this one won’t feel heavy on your hand. 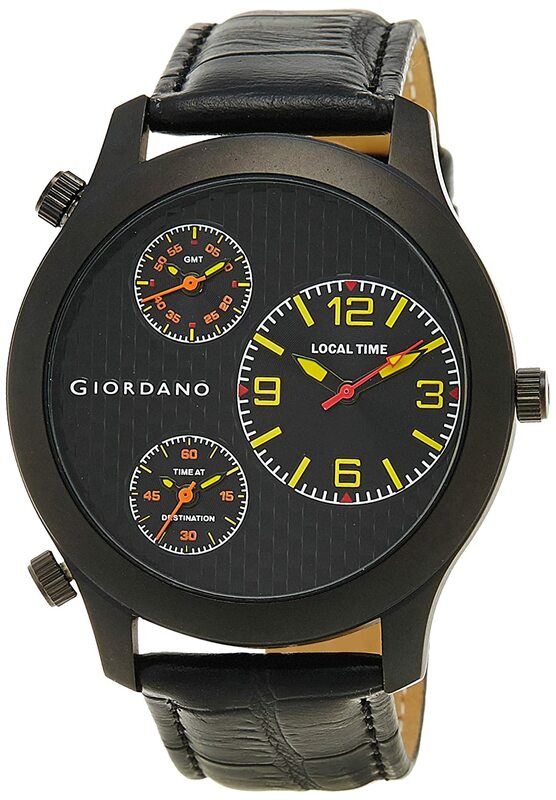 There’s yellow, orange, white and red on the black base of this chronograph watch from Giordano. Its just the right amount of eye catchy, a little bit more, and it would have become too flashy. All the three dials on this one are analog, which, along with the spacing between the buttons and the classic black leather strap, give it a simplistic & elegant vibe, in spite of all those bright colours. 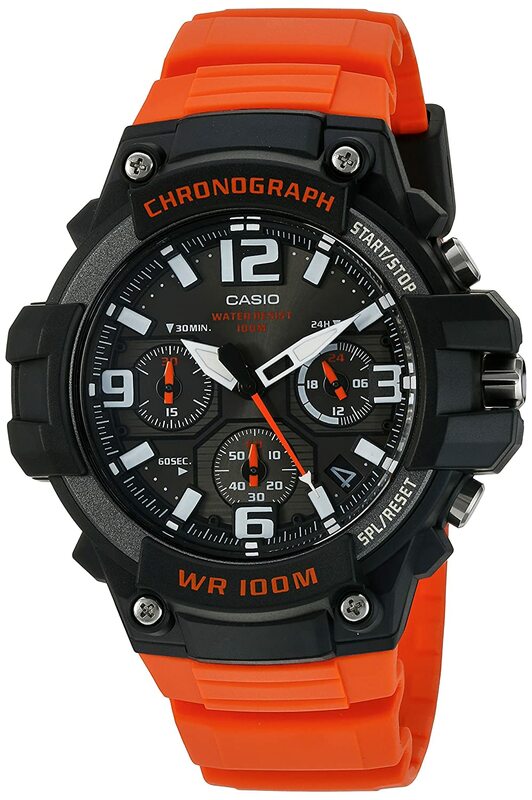 The bright orange resin band makes this chronograph watch from Casio really fun to wear. To maintain the colour balance, there is very limited use of orange inside the dial, most of the detailing is white. An added bonus to this funky chronograph watch is that it comes with water resistance up to 100 metres. 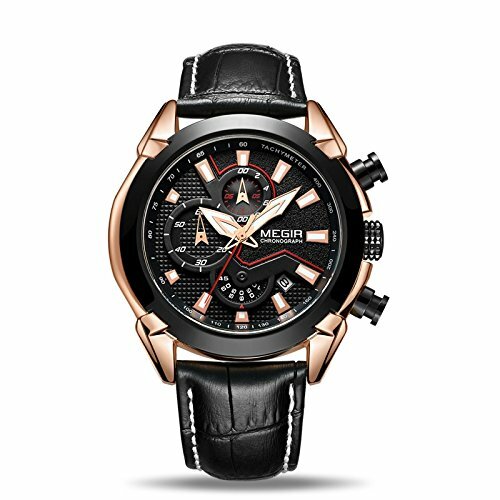 Last one on our list of the best chronograph watches under 3000 Rupees is this particularly edgy one from Megir. The bronze coloured frame and the white and red detailing complement the intricately carved black dial really well. The immaculately finished leather textured strap is not only incredibly light-weight but super comfortable to wear. Oh, and its also glow in the dark hands.